I love it, the WALL OF KNOBS, meaning modular analogue synthesizers. The bigger and more complicated, the better. 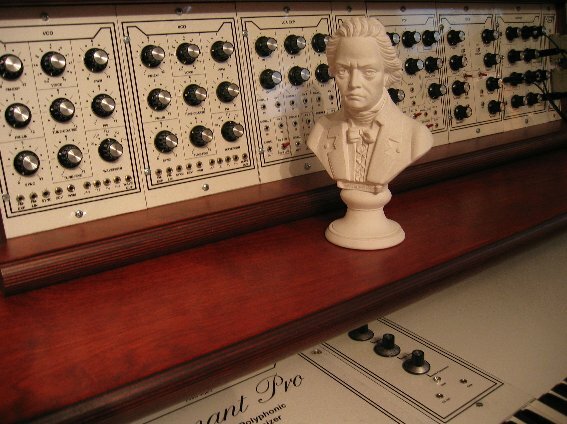 I love them since I listended to Isao Tomita's CD "Snowflakes are Dancing" and since I read the booklet containing a picture of Isao himself sitting in a corner of his studio, SURROUNDED by his MOOG Modular. 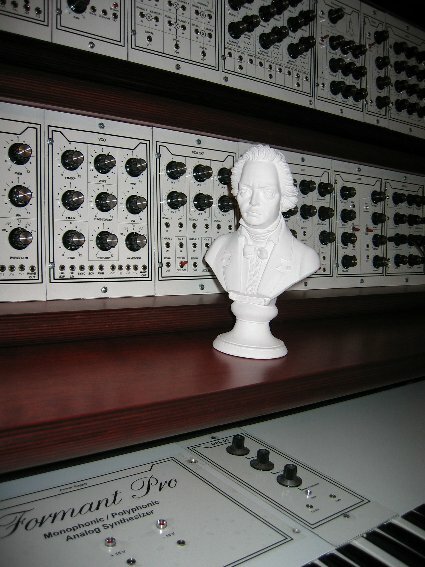 Since I was a little boy with interests in electronic music I dreamt of possessing such a modular system. To buy one was much too expensive, so all I had was my dreams and a musical instruments selling store nearby where I could play some synthesizers. 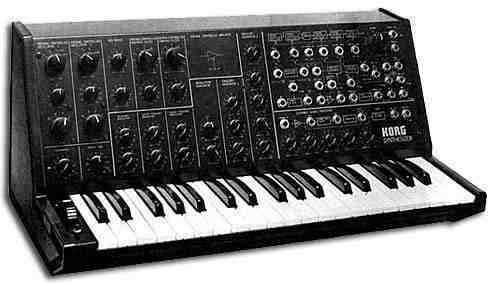 I tried a Korg MS20 and got in contact with a kind of modular design of synthesizers for the first time, but reached the limits of possibilities quite fast. But in the year 2001 I found a hint in the internet concerning a modular synthesizer system to be built in 'do it yourself' method which based on the Elektor Formant Synthesizer of the 70s. All you needed was a book "Formant-Pro MSS2000" by Hans-Joachim Helmstedt. No warranty for completeness or correctness of technical descriptions, schemas or any information provided on www.analog-monster.de/* pages. Contents of linked pages are in responsibility of the page owners and analog-monster dissociates from them. All information provided on www.analog-monster.de/* pages is in ownership of www.analog.monster.de (except especially marked) and for private use only. All rights reserved.